Is eternal battery life long enough for you? 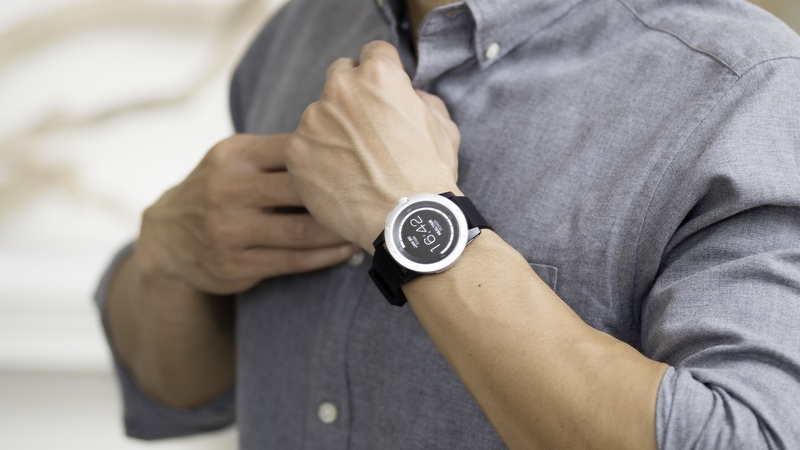 A new smartwatch has just hit crowdfunding site Indiegogo that uses the heat of your body to power its battery, promising ever-lasting battery life for the first time. The Matrix PowerWatch is the first device to be powered by thermoelectricity, which means you won't need to recharge or replace the battery. It's a strong riposte to regular criticisms of the battery life of the current crop of smartwatches. Disappointingly, it's not that much of a looker. Outwardly a little like a Garmin Fenix 3 HR, the screen is a pretty low-power, low res affair (exact specs TBC). It's reminiscent of the Vector watch, which promises 30 days from a rechargeable battery. It's made from "aircraft grade aluminium" so we're sure it retains a luxurious feel, though it's hardly challenging the likes of the Tag Heuer Connected or the Fossil Q range for style. It's also waterproof to 50m, which is impressive, yet without dedicated swimming features kind of unnecessary. At least you can take it into the shower. In terms of features, the Matrix PowerWatch is all about fitness tracking, and will use its tech to better estimate calorie burn, which is a pretty neat feature. It will also keep your stats saved for a year, as well as syncing with a smartphone partner app. It will also gauge the power generated from your body, which is unique and impressive. "Matrix's thermoelectric platform technology now makes it possible to power a wide range of products without the need for replaceable batteries or an external power source," says Akram Boukai, co-founder and CEO of Matrix. And it seems that thermally powered wearables could be having a moment. Coinciding with the PowerWatch campaign is a report from India's Economic Times that researches at University of Texas were working on heat harvesting tech for wearables. "This is the first time that it has been discovered that a solid-state polymer electrolyte can produce large thermally induced voltage," the Economic Times quotes Choongho Yu, professor at Texas A&M University. It's certainly a week of firsts for thermal power tech. And while it's hardly about to change devices like the Apple Watch or Fitbit Charge today, in the future it could be key to longer, if not eternal battery life for your personal devices. The Matrix PowerWatch is available now for pre-order at Indiegogo starting at $169.99.